What is a temporary work visa 400 Australia? Does a subclass 400 visa have work provision? What are the conditions you need to meet as a holder of an Australian visa 400? Yes, it’s a known fact that majority of those who are applying for an Australian visa have one singular purpose in mind — namely to obtain a permanent residency in the land of happiness and opportunities. It does not matter whether they get a temporary residency at the start. They would always find a way later to get hold of that coveted permission to stay here forever or for a considerable amount of time. There is, however, a good chunk of visa applicants who are not so keen on staying here for an extended period. One of those is the so-called specialists. They come here on a short-term basis and undertake specialized, non-ongoing jobs. For this type of visa applicants, the Australian government has reserved a visa subclass that’s tailored just for them: this is temporary work visa 400. This visa is also known as Short Stay Specialist visa, and you must already have a fairly good idea why it is called such. If you are one of those who will travel to Australia to undertake short-term, highly specialized and non-ongoing assignment here, or if you know someone who is planning to come here for that purpose, this article is for you. 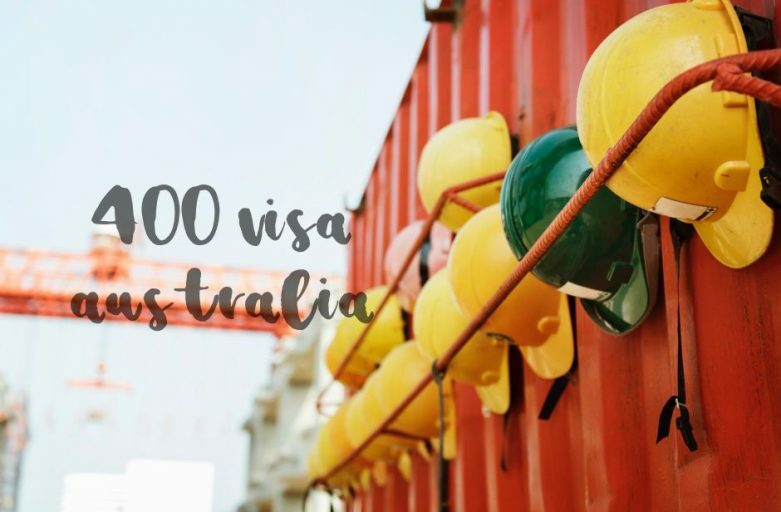 Like we said just a while ago, Australian work visa 400 is intended for you if you travel to Australia to undertake jobs that are specialized and not ongoing, and in limited circumstances get involved in an activity related to the interests of the country. Subclass 400 visa is a short-term visa which is valid only for three months but can be extended to up to six months depending on how strong and compelling the circumstances of your stay are that it needs to be extended. One particularly important consideration about the granting of Short Stay Specialist visa is that no Australian in the local labor market possesses the capacity to do the work that you are going to do. Otherwise, your application would be refused. You can apply for it while you are outside Australia and you should also be outside of the country at the time the decision of your application is handed down. The first one is Hia ghly Specialized WoWorkstream This is for overseas workers like you who would undertake highly specialized work in Australia in a non-ongoing capacity. The Department of Home Affairs (DHA) is quite stringent on this: You are not allowed to get employed even on a short-term basis in an ongoing position. The second stream is the Invited Participant stream. In this case, an Australian organization would invite you to come here to participate in certain events or activities. A good example of this is the participation of foreign athletes and sports officials in a sporting event organized by an Australian sports organization. And the third stream is Australia’s Interest stream. In here, your presence or absence in an event would affect the interests of the country, be they in the government, business or cultural sector. A work permit is available for you if you choose the Highly Specialized Workstream. Again, the work that you are going to do should be non-ongoing and should not adversely affect the employment and training circumstances of the Australian citizens and permanent residents. One good benefit that you can gain from Australian visa 400 is that any eligible family members of your family can come with you. They are not, however, allowed to work here. First and foremost, you need to possess the necessary skills and experience to undertake the occupation for which you are needed. 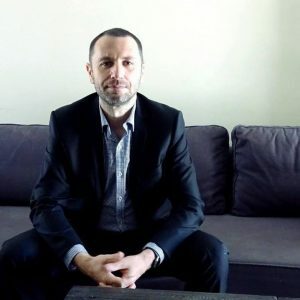 You also have to demonstrate that you are indeed a specialist in your field of expertise where no Australian citizen or permanent resident can do such a job. By so doing, your presence here will not have adverse effects on the employment and training conditions of the latter. The DHA will also see to it that you do not intend to stay long in the country and that you have no plans of studying here. It goes without saying you need to be in the country to perform the job. You must also comply with the requirements related to finance, health, insurance, character test, and others. The temporary 400 work visa may be short-term, but it does not mean you can forego with the usual requirements. There is the requisite about your finances where you need to prove that you are capable of supporting yourself and your family members who will travel with you to the country. Be ready to show proofs of funds. Further, the payment for the visa processing is on you unless you come to Australia as a representative of a foreign government or if you are invited by an Australian organization. The Commonwealth Government of Australia is wary about the health of its citizens and permanent residents. It is for this reason that it goes to great lengths to make sure foreign citizens who set foot in its shores possess clean bill of health. The health examinations that you need to undergo are dependent on your personal situation such as your country of origin, your intended length of stay here, time spent in other places prior to your travel here, and other related factors. The corollary to the health examinations is the need for health insurance. You will take it out from your own pocket. The much ballyhooed national healthcare system called Medicare is reserved only for the country’s citizens and permanent residents. You also need to prove to the government that you are a person of unquestionable character. Hence, police certificates and other related clearances are standard requirements. Take your cue from the DHA before you obtain these clearances. As we have been saying in this article, subclass 400 visa Australia is valid only for three months but can be extended up to six months. The process, though, of applying for an extension demands a strong business case so that the application can be granted. Proofs that the expertise from specialists overseas is indeed the only viable option left such as recommendations from employment agencies, etc. Needless to say, this article is just a scratch on the surface when it comes to an in-depth discussion on Australian temporary work visa subclass 400. There’s a myriad of other issues to talk about here. One of the common ones is this: Short Stay Specialist visa is an attractive option for Australian companies and organizations looking for personnel because it does not require sponsorship and application for nomination. More important, it costs lesser than that of a TSS visa. The problem, however, arises when it is not the right visa for the applicant and they consequently fail to meet the requirements of the application. Besides that, there are constant changes as to the implementation, requirements, and provisions of this visa. We are here to help, so if you need an assistance with your 400 visa process do not hesitate to book a consultation so we can discuss your eligibility for an SC 400 visa and follow up with the process on your behalf should you decide to utilize our services. It is in this regard that we invite you to keep in touch with any of the migration experts of our company Nowak Migration. We dedicate ourselves to answering your queries related to our topic in this article as well as on other issues concerning Australian migration. We are here also to give you updates on the latest developments from the Department of Home Affairs. Lastly, if you think this article can help someone you know, please share it with them through any or all of the social media sites that we are using. We will certainly appreciate your effort. 400 visa Australia - a vital info you need to know about this kind of Australian working visa.